Current title holders of IBMA’s Album of the Year, Balsam Range’s fifth studio album Five debuted at number four on Billboard’s Bluegrass Album chart this week. Five was released on 17th June and has only been available for a little over a week. From deep in the Appalachians where the Great Smoky Mountains meet the Blue Ridge come the gifted men of Balsam Range, creatively blending Bluegrass, Folk, Gospel and Jazz into a new American acoustic music experience. Mountain Home Recording artists founded in 2007, Balsam Range is five friends with unique experiences and backgrounds blending together effortlessly to form their distinctive sound. 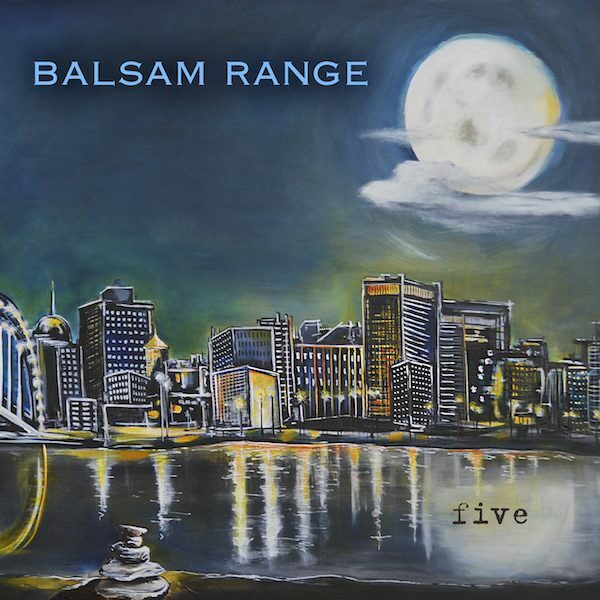 Since bursting on to the scene, Balsam Range has made a definite mark in the Bluegrass and Acoustic music world. Papertown was received so well that we were a little anxious about what we could do next. How do we follow an Album of the Year? We finally just went in there and made the best record we could and had some fun – Tim Surrett, Balsam Range.